It’s SanibelSusan reporting that “it’s official – Sanibel/Captiva weather finally flipped for a couple of days this week from summer-like to chilly.” Yesterday was our local Association of Realtors Monthly Membership meeting (followed by Caravan) at The Sanctuary Golf Community Clubhouse. Those meetings begin at 8 a.m. when it was down into the mid-50’s when I left my home (dressed in my winter flip flops and only jacket). It sure felt good. Below are some real estate news and more info about those events, followed by the action with our listings and the Sanibel-Captiva Islands Multiple Listing Service since last Friday. Just two Sanibel homes and one Captiva condo were sold during this time. First, here’s the inquisitive white heron that was just checking out the recently-installed Christmas lights next to where I park my car at the office. 34th Annual Sanibel Luminary, Friday, Dec 7, begins with “A Sanibel 70’s Christmas” at the Historical Village from 3:30 to 5:30 p.m. (I’ll be singing carols with the Sanibel Community Chorus at 4 p.m. as we stroll through the Village.) Then from 5:30 to 9 p.m. from one end of Periwinkle Way to the other, churches, shopping centers, and businesses will be open for holiday shopping, music, and good cheer. (At the Olde Sanibel Shoppes, Sanibel’s Island Brass will perform holiday favorites, while the Sanibel Community Church will feature their annual dramatic “Walk Through Bethlehem”. From the unveiling of the renovated Chamber of Commerce building to the Sea School, and Jerry’s, Bailey’s, Periwinkle Place and more, there always are so many things happening at once on Luminary night that it’s impossible to visit them all – not to mention the spectacular twinkling lights and holiday décor. 34th Annual Captiva Luminary, Saturday, Dec 8, similar to Sanibel’s event. The business and shopping areas of Captiva will be lined with lights and open for holiday fun, refreshments, and shopping. 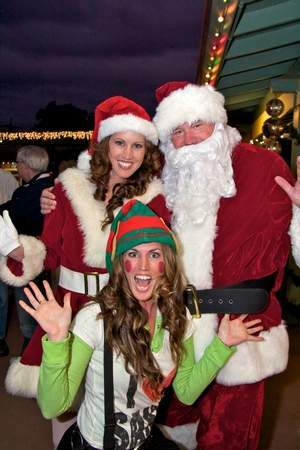 6th Annual Captiva Holiday Stroll, at South Seas Island Resort, on both Friday and Saturday evenings from Dec 7 through 22 from 6 to 9 p.m. where there will be holiday treats; skating; live music; arts and crafts; entertainment including face painting, stilt walking, juggling and balloon artists; holiday movies; photos with Santa; and food and beverages. Tickets are $10 (for non-resort guests), children under 12 are free. Proceeds to benefit Captains for Clean Water. 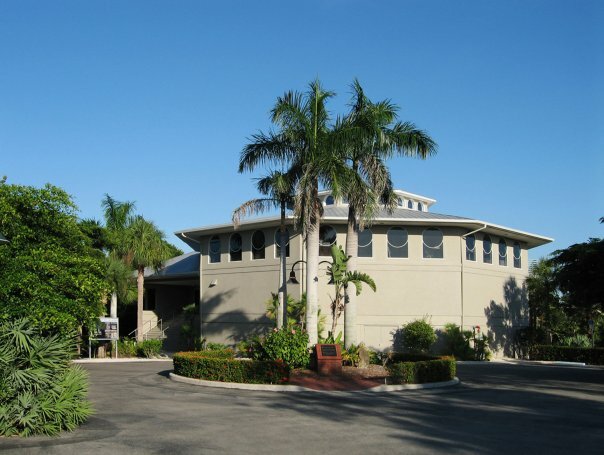 Captiva Christmas Carol Sing, at Chapel-By-The-Sea, Sunday, Dec 9 at 6 p.m. Seating both inside and on the sand under the holiday lights. BIG ARTS Holiday Concerts, Band concert is Saturday, Dec 8. Chorus concert is Wednesday, Dec 12. Both are at Schein Performance Hall beginning at 7 p.m. Tickets are $10 (children free) at www.bigarts.org. Kelly Sloan, Sanibel-Captiva Conservation Foundation (SCCF) Sea Turtle Coordinator/Biologist reported on how water quality this year has affected the turtle population. As of Nov 9, Southwest Florida from Collier to Pinellas Counties have documented 1,205 turtle strandings, most of these animals (1,051) were found dead. The previous average was 477, making the current number 2.5 times greater than the norm. Lee County had 293 strandings, the county previous 5-year average was 94. This year was the largest number of stranded turtles attributed to a single red tide event. Sanibel’s fertilizer ordinance was the first in the state. It requires that fertilizer nitrogen content must be 20% or less and at least 50% must be a slow release form. Phosphorus content must be 2% or less and no fertilizer can be used within 25’ of a body of water. Additionally, the fertilizer blackout period is during the rainy season (July through September). The City recently sent letters to all 460-some mayors of every city in Florida asking them to similarly do their part to help improve water quality. Sanibel efforts to-date cost $120M. A new $20M project is in the works that will remove nitrogen out of reclaimed water. Together we can all make a difference. Please pass the word that water quality affects real estate values. As water gets cleaner, property prices rise. We all need to do our part and stay involved. “Buyers are pulling back. Home prices have been rising too much relative to income for many would be buyers to keep pace. Since 2011, the U.S. median home prices have risen 55% while wages are up only 18%. Now, the Federal Reserve has become more aggressive against inflation; with several short-term interest rate increases over the past year and more likely on the horizon, mortgage rates are trending up. A monthly mortgage payment on a typical home today is $1,136 up from $639 in 2011. And confidence is down. Only 38% of consumers today strongly believe it’s a good time to buy, down from 43% last year, and the numbers are lower for renters who don’t have equity to tap for a down payment. “It’s not all bad news, though. The reason for the Fed’s rate hikes is that the economy is roaring. Jobs openings are at a record high, and the number of people applying for unemployment checks is at historic lows. As long as the economy stays strong, home sales could head up – even as rates continue to rise. “Mortgage rate increases don’t automatically push home sales down. In 1984, 1994, and 1999, interest rates rose about 2-percentage points in each year while home sales either stayed flat or continued up. An exception was 2008, when higher rates caused a large number of subprime loans to go sour and home sales dropped. Fortunately, subprime mortgages are gone and nearly all are locked in safely at fixed rates. 6 new listings: Sundial #J101 1/1 $499K, Loggerhead Cay #133 2/2 $949K, Sanibel Arms West #F8 2/2 $969K, Sanibel Moorings #522 3/2 $1.295M, By-The-Sea #C102 3/2 $1.624.9M, Somerset #B202 3/2.5 $2.1M. 3 price changes: Pointe Santo #B2 2/2 now $729K, Signal Inn #19 3/2 now $1.095M, White Pelican #133 3/3 now $1.85M. 1 closed sale: Blind Pass #G201 2/2 $468K. 6 new listings: 221 Robinwood Cir 3/2 $679K, 5260 Caloosa End Ln 3/2 $697K, 9052 Mockingbird Ln 3/2 $749K, 4339 Gulf Pines Dr 3/2 $795K, 698 Birdie View Pt 3/2 $839K, 335 Cowry Ct 3/3.5 $1.199M. 11 price changes: 9248 Kincaid Ct 2/1 now $399K, 531 Piedmont Rd 3/2 now $439.5K, 1325 Par View Dr 3/3 now $667.5K, 1740 Middle Gulf Dr 3/3 now $850K, 1225 Seagrape Ln 3/3 now $875K, 2479 Blind Pass Ct 3/2 now $950K, 920 Snowberry Ln 3/3.5 now $1.175M, 2640 Coconut Dr 2/2 now $1.375M, 2414 Wulfert Rd 4/4.5 now $1.597M, 1743 Venus Dr 4/3.5 now $1.749M, 5615 Baltusrol Ct 4/6/3 now $3.399.9M. 2 new sales: 1150 Seagrape Ln 3/2 listed at $1.279M, 4771 Tradewinds Dr 3/3 listed at $1,795,555. 2 closed sales: 1035 S Yachtsman Dr 5/4.5 $850K, 1238 Isabel Dr 5/3/2 $2.2M (our buyer). 3 price changes: 1820 Ardsley Way now $166.5K, 978 Main St now $194.9K, 2987 Wulfert Rd now $295K. 2 new listings: Tennis Villas #3137 2/2 $445K, Beach Villas #2636 2/2 $759K. 1 new sale: Beach Homes #13 4/4.5 listed at $3.949M. 4 price changes: 55 Sandpiper Ct 3/2 now $969K, 1105 Tallow Tree Ct 3/3 half-duplex now $2.495M, 16801 Captiva Dr 3/3.5 now $2.595M, 15819 Captiva Dr 5/4 now $10.9M. 1 closed sale: 11534 Laika Ln 4/3.5 $1.61M. Until next Friday, when it’s December! Lake O releases are being reduced again starting today, but already one can see water quality improving. It’s SanibelSusan posting her Friday island blog a little early today as it’s almost time to head out for the kick-off of Sanibel Luminary at The Sanibel Historical Village and Museum. The islands Community Chorus is singing from 4-4:45 p.m., followed by the Sanibel Band. Then at 5:30 p.m., the official Luminary Trail is lit with festivities until 9 p.m. The islands already are twinkling with holiday lights and decorations, but it hardly feels like December weather. Yesterday it hit the mid-80’s, but it’s back into the high 70’s today. This weekend, it looks like attendees can forget their ugly Christmas sweaters and go with “shorts’ for Sanibel’s Luminary tonight and Captiva’s tomorrow. In preparation, the island seems to have settled into a pre-Christmas mode this week. Little sales action was announced yesterday at the Thursday Realtor® Caravan meeting. I was pleased to announce the quick sale of our new listing overlooking Dinkins Bayou on Harbour Lane and we had two of the properties on the 9 a.m. to noon Caravan that followed the meeting. The action posted in the Sanibel & Captiva Islands Multiple Listing Services since last Friday follows a couple of news items below. Elf Jr. The Musical – This comedy is running from now through Tues, Dec 5 at The Community House. The Community House theater is a unique space with the audience on three sides, you become part of the show. Creative Theater Workshop will also have auditions for Aladdin, Jr on Sat, Dec 2 at The Community House for youth ages 8 to 18. This show will feature workshops in stage combat, special effects, fencing/sword fighting, singing, dancing and acting. Audition sign-ups at www.CTW.Life. Shell Harbor Boat Parade – This is a new event planned by the homeowners’ association to be held Sat Dec 16 with boats gathering at 5:30 p.m. and the parade starting shortly after. It will begin just outside Sanibel Harbour in San Carlos Bay and proceed down the main Shell Harbor canal before turning around in the Victoria Cove basin. Find more info at the Shell Harbor Property Owners Association Facebook page. The following article from Tallahassee was posted yesterday on line at FloridaRealtors® and credited to Jim Turner of “News Service of Florida”. “Thursday was the last day of the highly active, deadly and destructive 2017 Atlantic hurricane season, but Floridians will feel its impact for years.The massive hit from Hurricane Irma caused direct physical and emotional impacts in Florida, and ripples continue to come ashore as thousands of people flee Hurricane Maria’s devastation in Puerto Rico and the U.S. Virgin Islands. “Politicians are scrambling to determine how much of the next state budget will be dedicated to covering losses that may or may not be paid by the federal government. They’re also looking at regulatory changes for nursing homes and debris-removal companies, as well as changes dealing with issues such as evacuation lanes, shelters and a potential state fuel reserve. “Visit Florida spent $5 million to tell potential tourists that the state quickly reopened after Hurricane Irma, even as scars from the September storm remain etched across agricultural fields and the Florida Keys…. “Members of the House Select Committee on Hurricane Response and Preparedness will meet Monday and discuss potential storm-related recommendations for the 2018 legislative session, which starts in January. Among the possibilities are legislation about housing, agriculture tax relief, hardening for emergency-operations centers and management of shelters. “As of Nov. 13, more than 830,000 property owners across the state had filed claims for $5.88 billion in insured losses from Irma, which was one of four storms – Tropical Storm Emily, Irma, Hurricane Nate and Tropical Storm Philippe – that had a direct impact on the state during the six-month hurricane season. Emily in early August made landfall on Anna Maria Island and quickly was downgraded to a tropical depression. Nate brushed the western Panhandle on Oct. 8 as the center of the storm came ashore near Biloxi, Miss. Philippe brought rain and couple of tornadoes to the southern part of the state as it made landfall Oct. 29 with 45 mph winds in Southwest Florida. “Overall, there were 17 named storms this year. The most devastation came from Harvey’s Aug. 26 landfall in Texas, Irma’s double landfall and run-up of Florida starting Sept. 10, and Maria’s destruction of utilities and other infrastructure across Puerto Rico on Sept. 20. While spinning in the Atlantic, Irma reached maximum sustained winds of 185 mph, a pace it held for a record 37 consecutive-hours. Nate also set a record in October for the fastest forward motion recorded for a hurricane in the Gulf of Mexico. “Irma also set new benchmarks for evacuees – an estimated 6.5 million people left their homes in advance of the storm – and power outages and restoration crews. Florida Power & Light, for example, reported 90% of its customers – about 10 million people – were without power on average 2.3 days. “The agriculture industry has put a preliminary estimate of $2.5 billion on its losses from the storm. However, Florida leaders have yet to convince the White House and Congress to include an estimated $761 million in losses to the citrus industry in a series of disaster-relief packages this year. State Agriculture Commissioner Adam Putnam again implored Florida’s congressional delegation on Tuesday to support U.S. Rep. Tom Rooney’s proposal to add $1.5 billion for Florida’s agricultural industry to a $44 billion disaster-relief request sent to Congress on Nov. 17 by the White House Office of Management and Budget. “While awaiting federal assistance, Scott authorized a $25 million interest-free loan program for citrus farmers. “Visit Florida, meanwhile, directed $5 million from its tourism budget for a special post-Irma marketing campaign, and Scott has requested lawmakers boost Visit Florida’s marketing dollars from $75 million in the current year to $100 million because of the need to have post-disaster marketing money readily available. 4 new listings: Captains Walk #D5 2/1 $299.5K, Sunset South #7C 2/2 $598K, Cottage Colony West #101 1/1 $649K, Shorewood #2B 3/3 $1.568M. 3 price changes: Seashells #40 2/2 now $349.9K, Kimball Lodge #303 1/2 now $599K, Pointe Santo #B2 2/2 now $799K. 4 new sales: Seashells #44 2/2 listed at $339K, Sunset South #1C 2/2 listed at $685K, Nutmeg Village #205 2/2 listed at $769K, Bougainvillea #A3 4/4 listed at $3.695M. 2 closed sales: Seashells #11 2/2 $331K, Nutmeg Village #100 2/2 $950K. 10 new listings: 1438 Sandpiper Cir 3/3.5 half-duplex $414K; 5306 Ladyfinger Lake 3/2 $549K; 9240 Belding Dr 3/2.5 $585K; 749 Cardium St 3/2 $769K; 1450 Sand Castle Rd 3/2 $799K; 1807 Serenity Ln 3/2 $799,999; 3239 Twin Lakes Ln 3/2 $979K, 899 Almas Ct 3/2 $1.249M; 490 Sawgrass Pl 3/2.5 $1.695M; 547 Kinzie island Ct 4/4.5 $1.789M. 6 price changes: 4542 Bowen Bayou Rd 3/2 now $572K, 1317 Par View Dr 3/3 now $629K, 241 Violet Dr 3/2.5 now $750K, 932 Whelk 4/3 now $1.224M, 1672 Hibiscus Dr 3/2 now $1.269M, 411 Bella Vista Way 4/4 half-duplex now $2.15M. 5 new sales: 915 Palm St 3/2 listed at $475K, 1187 Sand Castle Rd 3/2 listed at $635K, 2030 Sunrise Cir 3/3 listed at $649K, 2510 Harbour Ln 2/2 listed at $749K (our listing), 411 Bella Vista Way 4/4 listed at $2.15M, 4649 Rue Belle Mer 3/2.5 listed at $2.595M. 2 closed sales: 1270 Bay Dr 3/2 $1.334M, 3547 West Gulf Dr 4/4 $3.9M. 1 new listing: 2460 Library Way $349K. 1 price change: Lot 27, Leisure Acres now $59K. 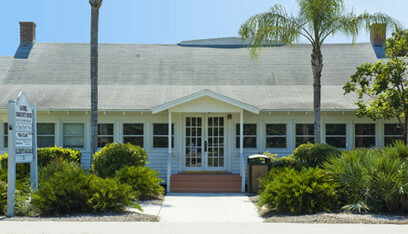 1 new listing: Sunset Beach Villas #2212 1/1 $530K. 1 price change: Beach Villas #2617 1/1 now $525K. 1 new listing: 11535 Chapin Ln 4/3 $1.449M. This representation is based in part on data supplied by the Sanibel & Captiva Islands Association of Realtors® Multiple Listing Service. Neither the association nor its MLS guarantees or is in any way responsible for its accuracy. Data maintained by the association or its MLS may not reflect all real estate activity in the market. The information provided represents the general real estate activity in the community and does not imply that SanibelSusan Realty Associates is participating or participated in these transaction. 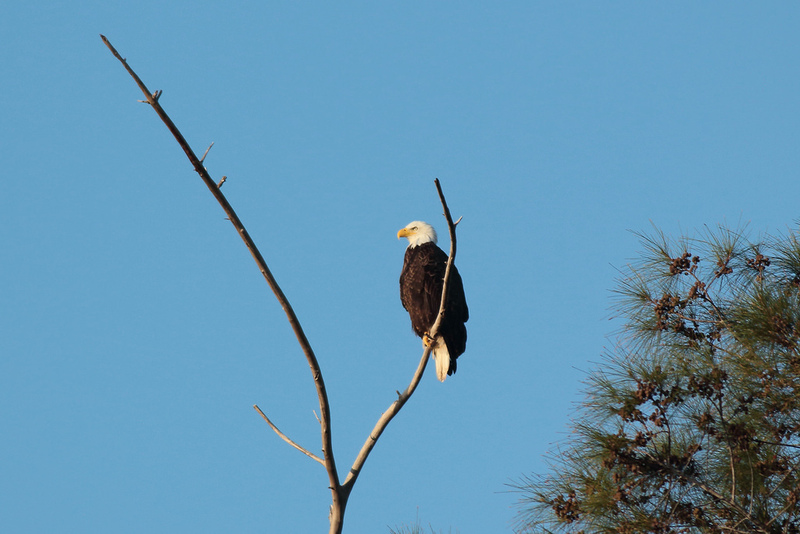 It’s SusanSusan flying solo at SanibelSusan Realty today as the rest of the team enjoys an extended holiday. I hope that you and yours also are having a wonderful Thanksgiving weekend. Again, all week, island weather has been grand. Delightful temperatures and breezes have made it excellent for enjoying the beach, boating, biking, shelling, and more. Showers were forecast both yesterday and today, but so far, the only rain has been a couple of brief showers yesterday. A few more are expected in the morning, followed by more sunny days with temperatures in the 70’s all of next week. “Midland 1031 is celebrating 20 years in business this month. Formerly known as 1031 Tax-Free Strategies, Midland has performed thousands of tax-free exchanges all over the United States since the fall of 1997. Midland 1031 was formed in 1997 by Dave Owens, a CPA who had a firm on Sanibel Island. When Owens first started his company, they performed 47 exchanges during its first full year of operation. The company grew rapidly throughout the years and hit the 1,000 exchanges per year mark for the first time in 2005. Currently in 2017, the company has surpassed the 1,000 exchanges a year mark, showing solid growth and continues to be an educational and service leader in the real estate community. “A 1031 tax-deferred exchange allows real estate investors to defer federal and state taxes on the sale of investment real estate as long as proceeds are reinvested into additional investment real estate of equal or greater value, as well as following the IRS 45-day and 180-day timing rules. There is no other deferral in the federal tax code like section 1031. The proposed Republican tax law changes does not change the current 1031 rules. “When asked about how he feels as he looks back over the last 20 years, Owens comments: “I am really proud of the job we have done helping real estate investors save millions of dollars in taxes. With the help of Senior Manager Theresa Knower, we have helped thousands of investors navigate through the process of exchanges, start to finish, and have earned the reputation as the gold standard among Qualified Intermediaries”. Knower is a veteran in the industry, speaking both locally and nationally on the topic of 1031 exchanges as well as working directly with her staff to complete exchanges. “Of the 108 Certified Exchange Specialists in the entire country and eight in the state of Florida, two of them are with Midland 1031; Owens and Knower both hold their Certified Exchange Specialists certifications. They are among the most knowledgeable, experienced exchange specialists anywhere. Sanibel Masters Art Festival – today & tomorrow (Sat, Nov 25) at The Sanibel Community House 9 a.m. to 4 p.m.
Lions Charity Christmas Tree Sales – begin tomorrow, 10 a.m. to 6 p.m. at Bailey’s Shopping Center. 5th Annual Happy Hour Holiday Shopping at ‘Ding’ Darling – Wed, Nov 29 at the Refuge Nature Center Store where the ‘Ding’ Darling Wildlife Society Friends of the Refuge will keep the store open until 7 p.m. Last year, my purchases included ornaments, stocking stuffers, caps, and toys. They have Luc Century items too. Sanibel & Captiva Luminary – As soon as Thanksgiving weekend is over, the islands jump right into Christmas holiday mode. Sanibel Luminary, always the first Friday in Dec, is next week, Dec 1, followed by Captiva Luminary on Sat, Dec 2. The Sanibel Historical Museum and Village kicks off luminary this year with a step back in time. Called “A Sanibel 60’s Christmas, Change is on the Way”, this year’s afternoon event focuses on the causeway which opened in 1963 and the changes that followed. The event is free from 3:30 to 5:30 p.m. on the village grounds with lots of 60’s memorabilia displayed. From 4 to 4:45 p.m., the BIG ARTS Chorus will perform (you-know-who is in the alto section). The Brass Ensemble follows them from 4:45 to 5:30 p.m.
After that, the shops and businesses up and down Periwinkle will be open late. Follow the lighted luminaries along the bike path. It’s magical. “Coastal Keepers’ vision is “a community that perpetuates a coastal legacy for future generations. 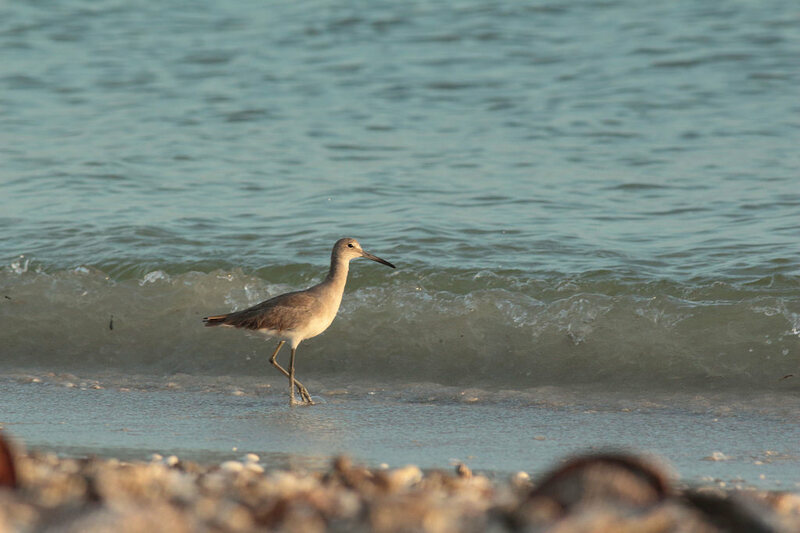 “There is a lot more we can do in our own backyard to enrich our community, to try to conserve and help our heritage move forward on a very local scale that are really for the most part limited to Sanibel and Captiva,” Neil said…. In Lee County, tourism employs one out of every five people. Approximately 4.8 million visitors arrive each year and generate about $3 billion in economic impact. Domestic travel showed the greatest increase in visitation, including the Midwest region which generated the largest share of visitors. One-fifth of paid accommodations visitors came from international markets. Tourist tax revenue – also known as the bed tax – is a 5% tax that funds three countywide functions: destination marketing; beach and shoreline re-nourishment, maintenance and enhancement projects; and stadium debt service and major maintenance by Lee County’s spring training facilities. The countywide tax is authorized by Florida Statute 125.0104 to increase tourist-related business activities in Lee County. 6 new listings: Tennisplace #D21 1/1 $249.8K, Mariner Pointe #521 2/2 $495K, Nutmeg Village #208 2/2 $749.9K, Pointe Santo #B26 2/2 $759K, Nutmeg Village #201 2/2 $1.0399M, Sanibel Seaview #C2 3/3 $1.15M. 2 price changes: High Tide #C101 2/2 now $979K, High Tide #C201 2/2 now $1.045M. 2 new sales: Sundial West #B108 1/1 listed at $469K, Nutmeg Village #109 2/2 listed at $689K. 4 closed sales: Spanish Cay #E3 2/2 $370K, Ibis at The Sanctuary #B102 2/2 $443K (our listing), Blind Pass #F108 3/2 $568.3K, Sandpiper Beach #501 2/2 $690K. 8 new listings: 1187 Sand Castle Rd 3/2 $635K, 1323 Par View Dr 3/2 $649K, 1008 Demere Ln 2/2 $639K, 2510 Harbour Ln 2/2 $749K (our listing) (photos below), 4460 Waters Edge Ln 3/2 $924K, 6047 Sanibel-Captiva Rd 3/2.5 $1.295M, 500 Kinzie Island Ct 3/3 $1.599M, 2689 Wulfert Rd 4/6.5 $2.195M. 7 price changes: 1846 Ardsley Way 2/2 now $599K, 1327 Tahiti Dr 2/2 now $633K, 1183 Kittiwake Cir 3/2 now $824.5K, 1314 Par View Dr 3/2 now $825K, 1114 Captains Walk St 3/3 now $949K, 1730 Jewel Box Dr 4/3 now $1.695M, 514 Kinzie Island Ct 4/5 now $1.945M. 3 new sales: 714 Durion Ct 3/2 listed at $609K, 9459 Begonia Ct 3/4 listed at $639K, 4155 West Gulf Dr 4/3 listed at $4.295M. 1 price change: 5633 Baltusrol Ct now $349K. 1 new sale: 1299 Par View Dr listed at $241.5K. 1 new listing: Beach Cottages #1403 2/2 $1.195M. 1 price change: Marina Villas #610 2/2 now $750K. 3 new sales: Tennis Villas #3220 1/1 listed at $298K, Tennis Villas #3223 1/1 listed at $305K, Lands End Village #1660 3/3 listed at $1.625M. SanibelSusan is back at her post this week where it is always great to get home and back to business even after a wonderful fun-filled vacation. Island traffic is noticeably heavier now than it was three weeks ago, while the weather remains mostly the same – sunny and picture perfect, unlike those nasty photos we are seeing on the news with snow and cold weather elsewhere. 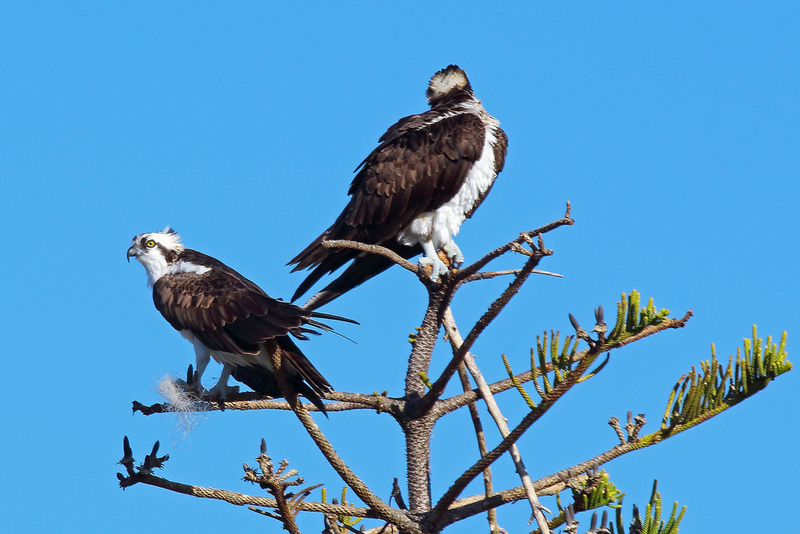 Now through Easter is always a great time to be enjoying winter in Southwest Florida. I had lunch today with a colleague in the vacation rental business and he said that their phones are ringing off the hook with folks looking for last-minute holiday reservations. Our listings had a few showings this week and our local Association of Realtors® Thursday Caravan meetings have changed to the “season” schedule of every week. Following a few news items below is the action posted in the Sanibel/Captiva Multiple Listing Service over the last seven days. On the real estate front, the number of units available still is down, though business is picking up, albeit is slowly. Homes and larger-sized condos continue to be in most demand. All indications are that it will be a terrific winter with prices continuing to rebound – we sure hope so! Nov 23 – Sun – Sanibel Thanksgiving Celebration at The Community House at 6:45 p.m. The BIG ARTS Community Chorus (& your favorite (I hope) alto) will be performing. 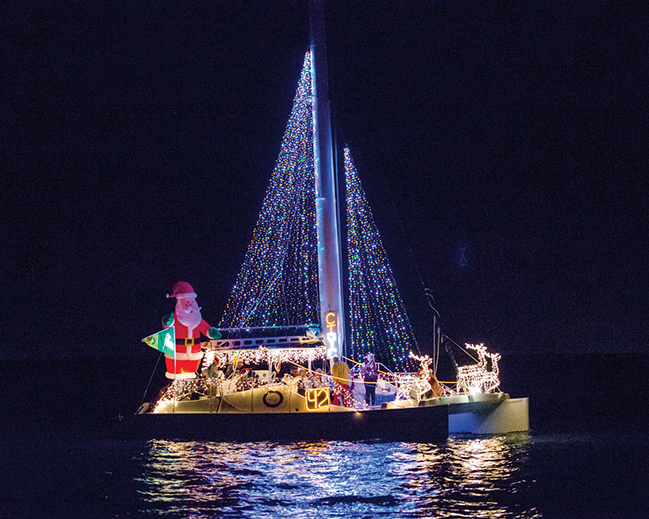 Dec 6 – Sat – Captiva Luminary from 5:30 p.m. until 9 p.m.
Dec 13 – Sat – Captiva Holiday Village 5th Annual Lighted Boat Parade at 6 p.m.
“In partnership with the National Association of REALTORS® and its one million members, we look forward to turbo-charging realtor.com® and making it the most popular and profitable property site in America,” Robert Thomson, chief executive of News Corp, said in a statement. “News Corp, a media and publishing business of which Rupert Murdoch serves as the executive chairman, owns such titles as The Wall Street Journal and Barron’s. It also has a majority ownership of the REA Group Ltd., a leading Australian residential property website. The Move network of websites reaches more than 30 million online visitors per month. The Next Big Home Feature Buyers Want? “Home owners are showing a bigger appetite for smart home technology. Nearly half of consumers — 46% — say it’s important their current home or the next home they purchase have smart home technology, according to a survey conducted by ERA Real Estate and HGTV of nearly 2,500 consumers who recently participated in an HGTV national focus group on smart home technology. “Home owners and buyers say they see the value in smart home technology for comfort, safety, and cost savings, and 51% surveyed say they would consider installing smart home technology in their home to make their home more marketable to future home buyers. “Indeed, 70% of millennials say it’s important that smart home technology integrate with their smartphone. “Housing market can weather the effects of expected mortgage spikes. “Mortgage rates haven’t budged, remaining at historic lows throughout the year amid economic growth that has generated 2.5 million net new jobs over the past 12 months and a record high stock market. But uncertainty looms in light of Federal Reserve Chair Janet Yellen’s announcement that the economic stimulus program known as “quantitative easing” will halt by year’s end. Moreover, an increase in the short-term Fed funds rate is expected by the middle of 2015. The course of U.S. monetary policy, in short, will be less accommodating going forward. “In the meantime, perhaps because of geopolitical risks in the Middle East and Ukraine, or because of weaker economic conditions in Europe, a plentiful amount of money has flowed into the safe U.S. bond market, thereby holding interest rates down. Inflation has been low so far, too, rising only by 2%, another factor behind the low rates. “Sooner or later, though, interest rates will have to rise. From the low 4% rate that prevailed for most of this year, the average mortgage rate will likely cross over the 5% threshold sometime in 2015 and probably rise to near 6% by 2016. Such a change makes homes less affordable, a clear negative for residential sales. But job creation and the accompanying rise in consumer confidence, along with some loosening of underwriting standards, might more than compensate for the rising rates. “But what will be the impact on home owners who have locked in super low rates? How resistant will they be to giving those up? That’s something we’ll be tracking. But if past behavior is a guide, most home owners won’t stay put just to hang onto a low mortgage rate. “Our own research supports this. Nearly half of recent buyers indicated the desire to have a different-sized home or live in a different neighborhood as the key reason for moving. Having kids and selecting a school district they like makes people move. Another third of recent movers cited changes in a job or ­marital status. Retirement was a factor for ­others. Only 3% mentioned changes in mortgage costs as a reason for moving. 4 new listings: Spanish Cay #C5 2/2 $379K, Blind Pass #G203 2/2 $520K, Island Beach Club #330C 2/2 $795K, Shell Island Beach Club #5A 2/2 $895K. 4 price changes: Colonnades #51 1/1 now $179K, Loggerhead Cay #453 2/2 now $459K, Sundial #Q202 2/2 now $694K, Sanibel Surfside #133 2/2 now $849K. 3 new sale: Tennisplace #C35 2/1.5 listed for $310K, Ibis at The Sanctuary #301 2/2 listed for $449K, Sayana #103 2/2 listed for $715K. 2 closed sales: Sundial #I103 1/1 $314K, Pointe Santo #B45 2/2 $710K. 3 new listings: 548 Chert Ct 2/2 $585K, 1026 Bird Watch Way 3/2 $589K, 4577 Waters Edge Ln 4/3 $2.995M. 4 price changes: 590 Lake Murex Cir 2/1.5 now $649.9K, 1337 Eagle Run Dr 3/2.5 now $1.149M, 375 East Gulf Dr 4/3 now $1.589M, 4265 West Gulf Dr 4/4.5 now $4.395M. 2 new sales: 1901 Sanibel Bayou Rd 4/3 4/3 listed for $829K, 1339 Par View Dr 3/2.5 listed for $999.9K. 1 closed sale: 800 Birdie View Pt 3/3.5 $975K. 3 new listings: 707 Emeril Ct $319K; 5633 Baltusrol Ct $349,555; 4334 West Gulf Dr $959,959. 3 price changes: 6411 Pine Ave now $335K, 6486 Pine Ave now $399.9K (foreclosure), 4988 Joewood Dr now $529K. 1 new sale: Bayside Villas #5230 1/2 listed for $309K. Whether selling or buying, please call The SanibelSusan Team. Susan, David, Elise, and Lisa are island experts and ready to help you!